The installment payments apply to taxes imposed on the property by all taxing units on the tax bill before the first anniversary of the disaster. The property owner must pay at least one-fourth of the taxes before the Feb. 1 delinquency date and provide notice that the person will be paying the remaining taxes in installments. The remaining payments are due before April 1, June 1 and Aug. 1, without any penalty or interest. If the delinquency date is not Feb. 1, then other deadlines apply. If an installment payment is missed, the owner faces a 6 percent penalty and also must pay interest at 1 percent for each month of delinquency. 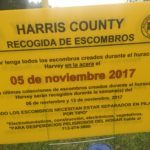 You may contact Assessments of the Southwest, Inc., the Tax Assessor/Collector for Harris County MUD No. 102, at www.aswtax.com (click on “Hurricane Harvey”) to arrange for installment payments on your 2017 Harris County MUD No. 102 property taxes. 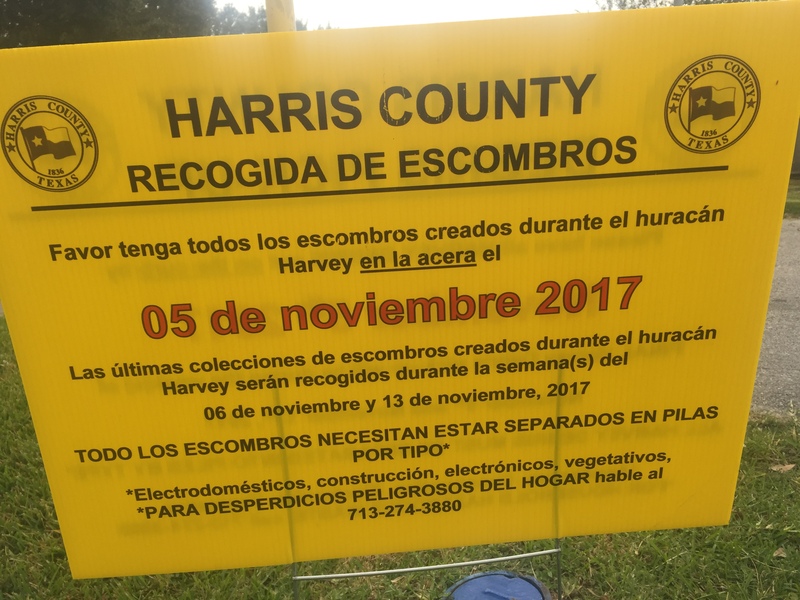 For additional information pertaining to flood-damaged property and 2017 property taxes, please consult the website of the Harris County Appraisal District at http://hcad.org/. 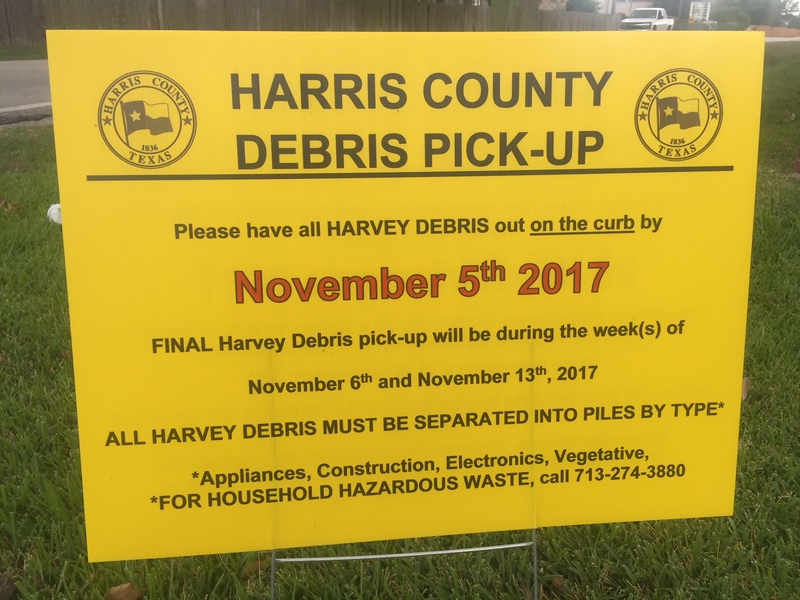 The November 5th deadline and pick-up the following week applies to all flooded areas as this will be the final pass for pick-up…anything put out to the curb after November 5th will not be picked up. It will be the homeowners responsibility. We urge you to help your neighbors to be aware of these deadlines as you deem appropriate. We believe that the County has done an outstanding job on debris collection, especially given the size of the task. 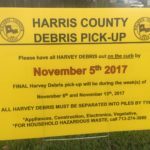 And we want you to understand that our District’s normal garbage collection contract does NOT include the collection of storm debris or major construction debris, so we feel it’s important that you take advantage of this opportunity. 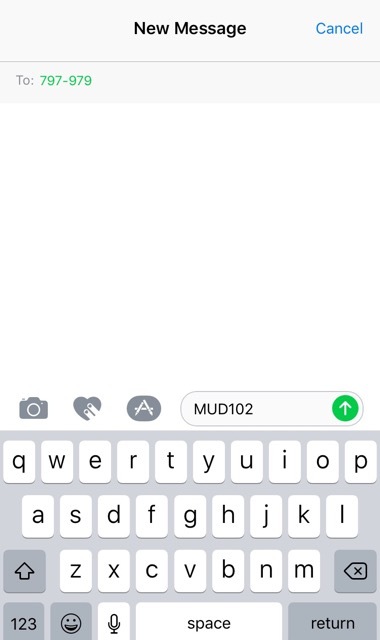 If you’d like to sign up to receive important news and updates from the district via text messages, you can send a text message to the number 797979 with the words MUD102 and you’ll be registered. You can also register to receive this information via email by visiting our Email Alerts Sign Up page. HC MUD 102’s wastewater treatment facilities are returning to normal operation. Customers in all District neighborhoods may resume normal usage of the sanitary sewer system. Your District drinking water remains safe. The District greatly appreciates your cooperation, patience, and understanding during this unforeseen natural disaster. Water leaks, sewer stoppages, etc. For persons with questions or needing help regarding website accessibility, or to request the provided information in alternative formats, please call (713) 651-0111 or email board@hcmud102.org.